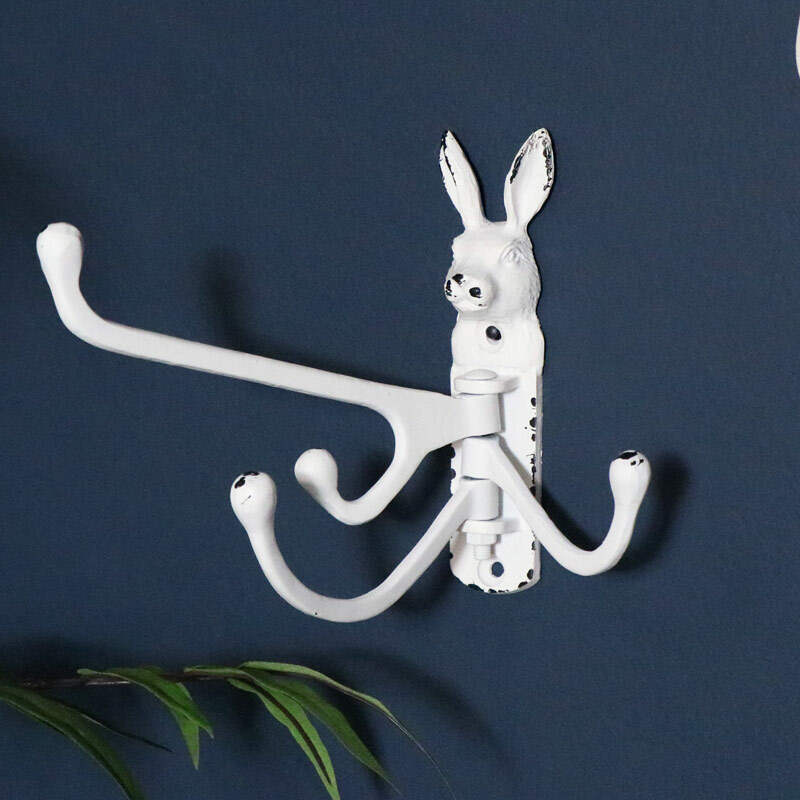 Handy wall mounted multi, rotating coat hook. Quirky design with white rabbit head detail. Perfect for bathroom, hallway or kitchen hanging. Features 4 moveable, rotating hooks. Ideal for holding coats, bags, bathrobes and towels. Vintage, shabby chic design for the country cottage style home. Sturdy, solid design that will look fab in any home. 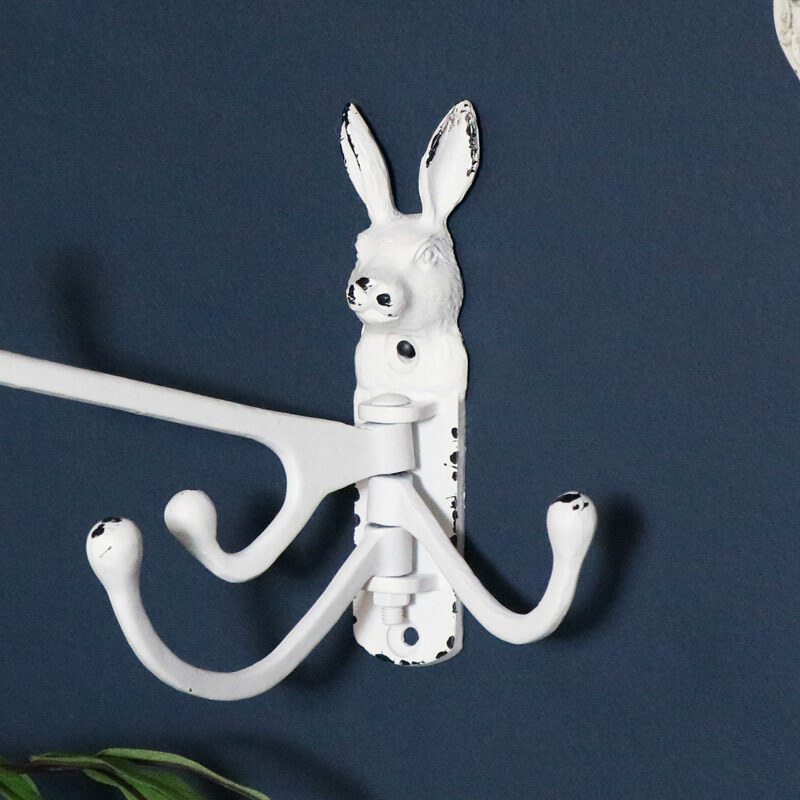 Handy wall mounted multi, rotating coat hook. Quirky design with white rabbit head detail. Perfect for bathroom, hallway or kitchen hanging. Features 4 moveable, rotating hooks. Ideal for holding coats, bags, bathrobes and towels. Vintage, shabby chic design for the country cottage style home. Sturdy, solid design that will look fab in any home. Made from iron and painted in a distresssed white finish to give a rustic appearance. Easily wall mounted with a hole on the back for fixing to the wall (fixings not included).